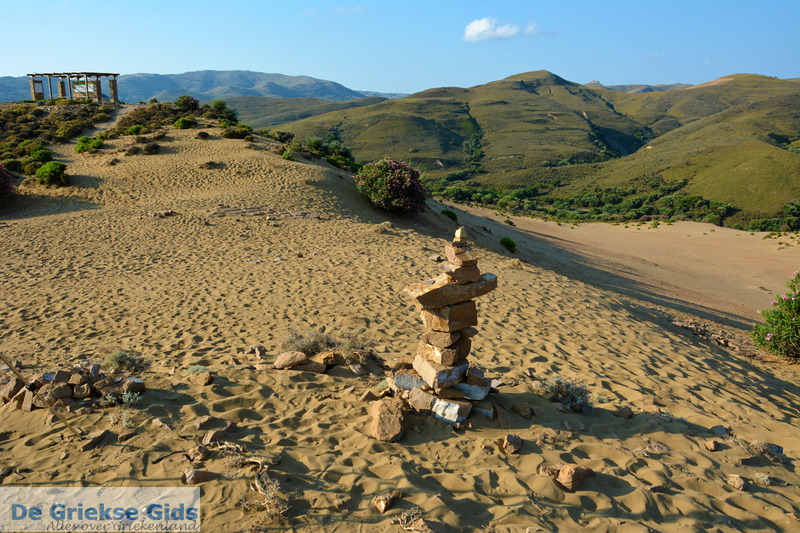 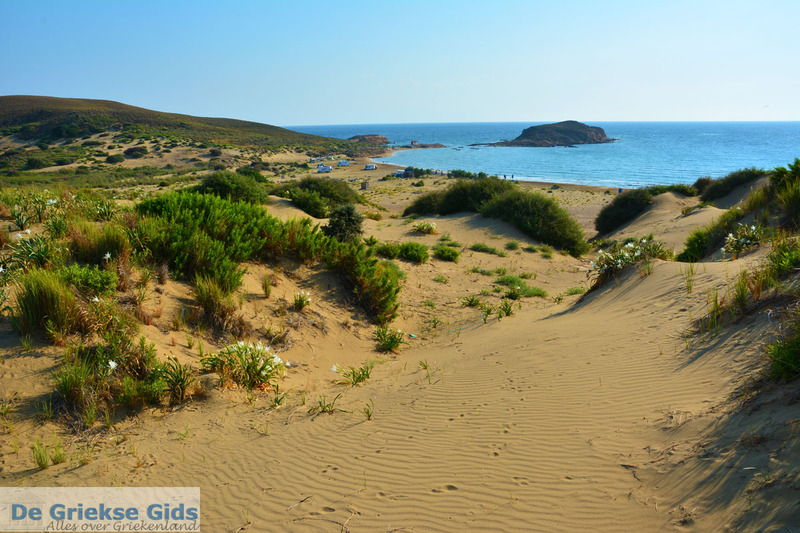 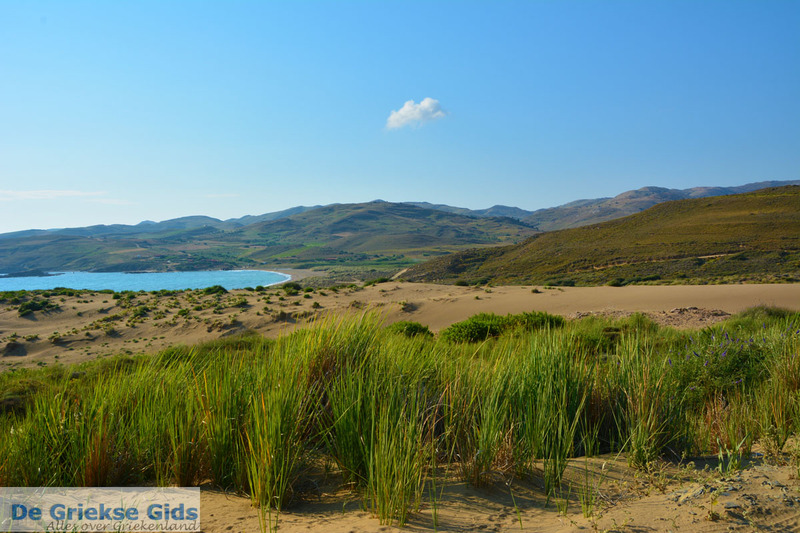 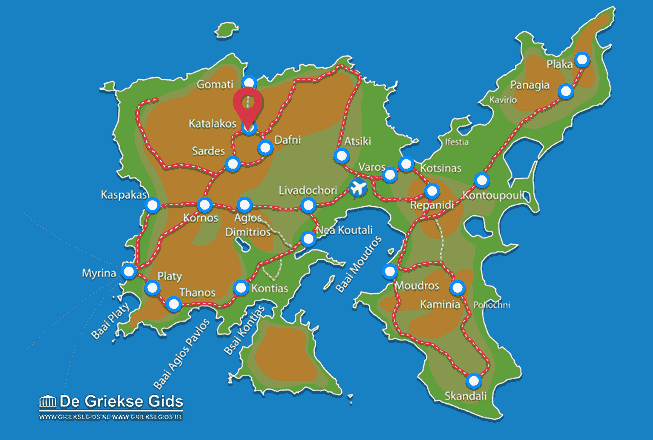 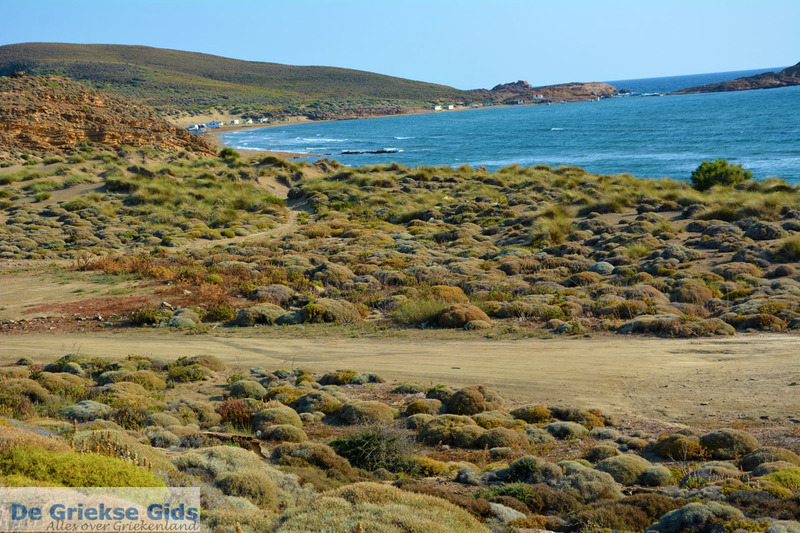 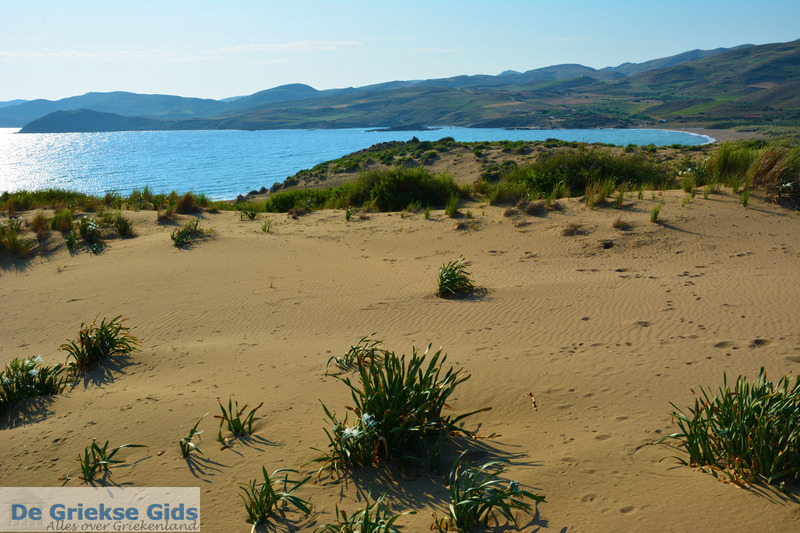 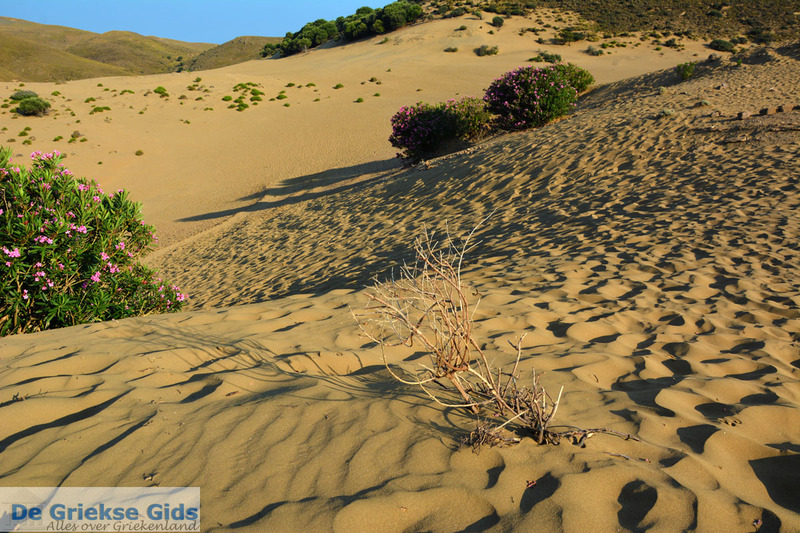 About five kilometres northwest of Katalakos is a small desert (Amothines) with dunes, a unique phenomenon in Greece. 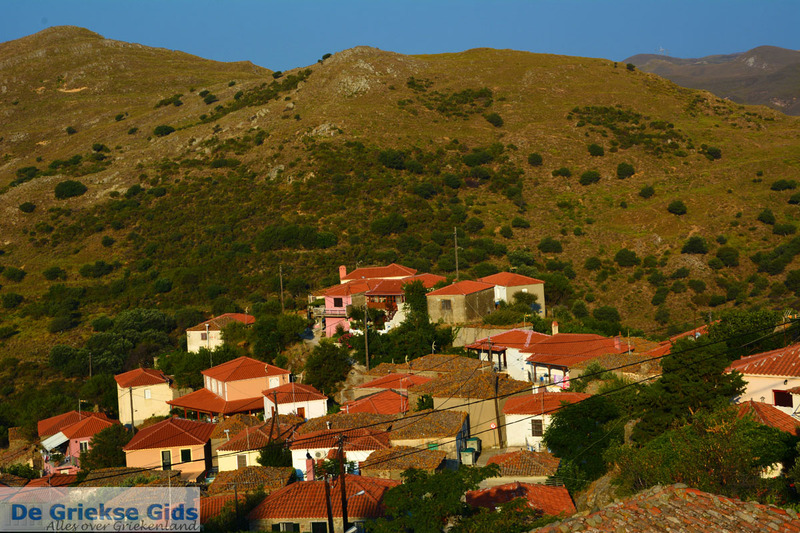 From Katalakos a dirt road runs here. 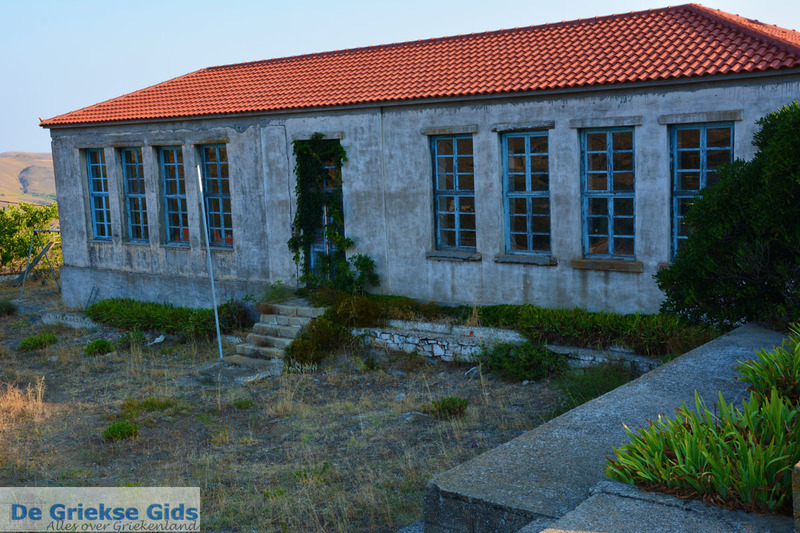 It is a large area of ​​about 200 hectares and it reaches to the beach at the Bay of Gomati. 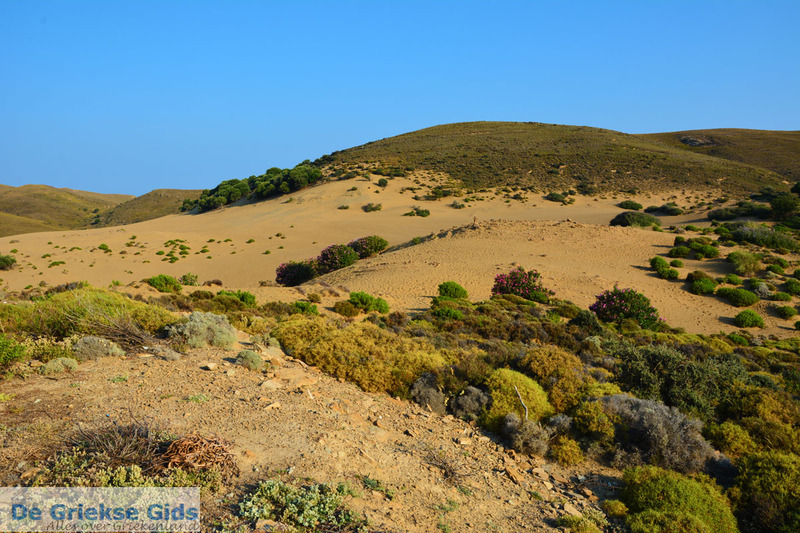 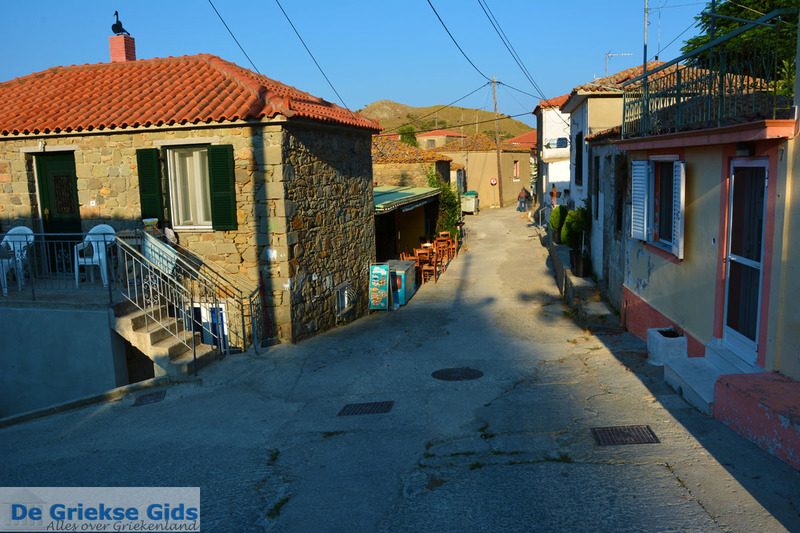 This area is also called Pachies Ammoudies or Pachies Sandes or Amothines.